“Self-portraits. 18–. MS Typ 55.20. Houghton Library, Harvard University, Cambridge, Mass.” contains what appears to be part of a picture story: it tells of an adventure on a walk while at Stratton. Edward Lear often visited his old friend and patron T.G. Baring there, i.e. in October 1860 and September 1862 (see Diaries). EL sits on a rail to examine an ear of corn. EL loses his way in a field of Burleybarley. 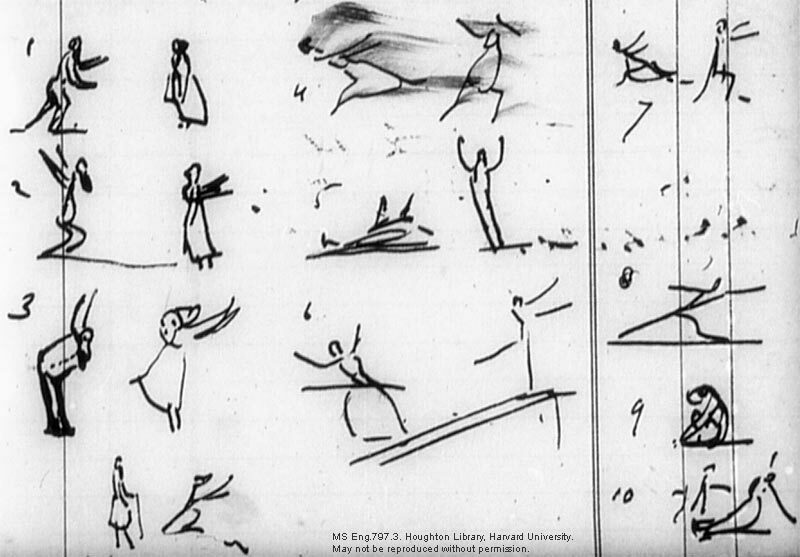 Also see: Edward Lear’s Picture Letters, Mr Lear Recovers His Hat. This entry was posted in Edward Lear and tagged diaries, Edward Lear, picture stories, travel. Bookmark the permalink. Hello Marco, thanks as ever for your helpful posts. You may like to know that there is a small Lear exhibition at the Henley-on -Thames ‘River and Rowing Museum’, with a talk by the curator this Saturday. The material is from the Ashmolean and so will be familiar to those who know the Ashmolean collection; nonetheless I went last weekend and found it interesting.